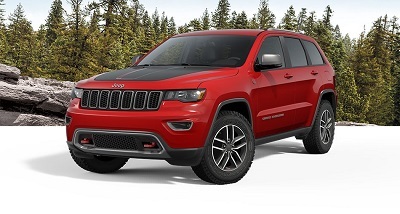 The 2017 Grand Cherokee Trailhawk is equipped with a set of technologies that make it suitable for off-road driving. Among these is the Quadra-Drive II 4×4 system. It has a rear electronic limited slip differential as well. Ground clearance is good, too, protecting your vehicle from harsh road elements. The Quadra-Life air suspension offers several performance benefits while the 18-inch adventure off-road tires allows the vehicle to perform in style. Posted on June 23, 2016 by CedrickPosted in BusinessTagged 2017, cherokee, dealership, grand, jeep.